Contains 15 natural incense sticks. Natural Incense Sticks. 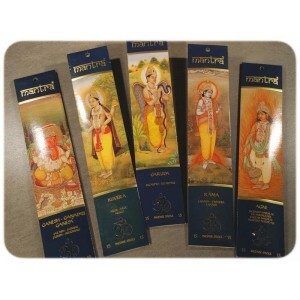 Natural Incense sticks. Agni is one of the most important Vedic Gods, the mediator between the gods and mankind. He brings riches and prosperity. Light and leave to burn the stick for 10 seconds, then put out the flame and leave to burn slowly. Caution: Keep this product out of the reach of children. Do not swallow. Do not leave unattended when alight. A beautiful incense holder with a Yin Yang decoration.